Aspartame is a common artificial sweetener marketed under the names Nutrasweet and Equal. The American Cancer Society states that aspartame is roughly 200 times sweeter than sugar. It can be added to a variety of foods and drinks to make them taste sweet but with fewer calories than usual. Aspartame can alter your brain chemistry and cause you to become addicted to it. You'll know if you are addicted to this artificial sweetener if you experience withdrawal symptoms after eliminating it from your diet. Evidence suggests the compounds that make up aspartame alter your dopamine system causing you to crave more of this sweetener. Aspartame also activates the food reward pathway in your brain, but because it supplied no calories, your body still hungers for calories and more sweetness. It causes you to crave more calories to provide energy to your cells and activate the food reward pathway again, which means you'll be reaching for another diet soda or dose of aspartame. Its sweet flavor leaves you in a cycle of craving more sweets according to a 2010 article in Yale Journal of Biology and Medicine. When you remove aspartame from your diet, your body must rid itself of the sweetener's residual chemicals, including methanol, phenylalanine and aspartic acid. 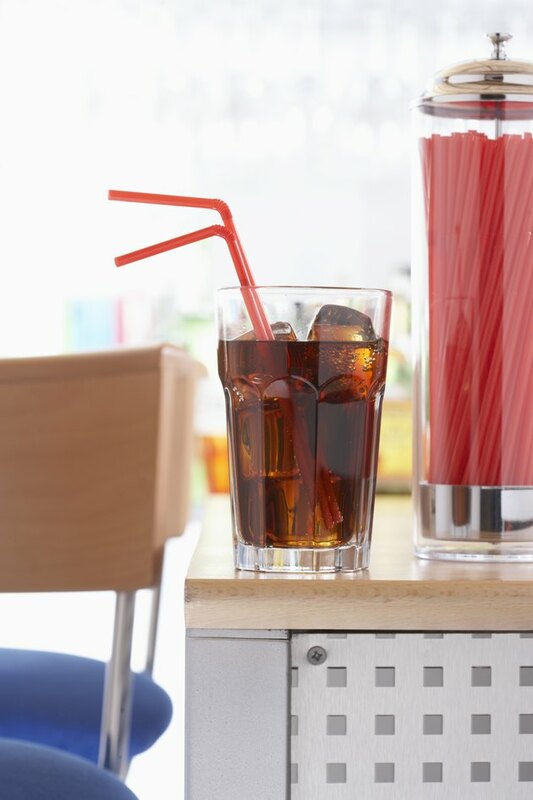 You may experience aspartame withdrawal symptoms for up to 30 days. Dr. Janet Starr Hull, a licensed certified nutritionist and author of "Sweet Poison," states that you may develop headaches and mood swings after quitting aspartame. You may also experience irritability, depression, tension, nausea and sweating, according to Dr. H.J. Roberts, an internist at Saint Mary's Hospital in West Palm Beach. You may struggle with giving up aspartame because of the withdrawal symptoms, but continued use of this artificial sweetener is linked to various health problems including psychological problems, digestive issues, skin rash, weight gain and blurred vision. In an article on the Fox News website, registered dietitian Cynthia Sass, recommends identifying all products aspartame is hidden in, such as yogurt, gum and cereal, and then quit everything at once. After quitting, return your body to its normal blood sugar and energy levels. Eat healthy foods, including vegetables, fruits, whole-grains and lean meats. Drink plenty of water to detoxify your system and promote digestive health. Find a workout routine that you enjoy whether it be jogging, yoga or dancing, to help overcome the withdrawal symptoms. You may crave other sweets during aspartame withdrawal. Opt for natural sugars, such as honey, agave nectar, pure maple sugar or date sugar. Better yet, choose fresh fruits and even vegetables with a tinge of sweetness, such as carrots and sweet potatoes. Dr. Sass suggests using sweet spices, such as ginger, cinnamon and nutmeg, in place of real sugar. For instance, top oatmeal, blueberries and yogurt with these natural flavors or sprinkle them into your coffee. If you got most of your artificial sweetener through diet, caffeinated soda, you may also experience symptoms of caffeine withdrawal. According to Johns Hopkins Medical Center, caffeine withdrawal symptoms include fatigue, headache, decreased concentration, irritability, depression, anxiety and flu-like symptoms. What Are the Dangers of Stevia Sweetener?